These days, many drivers are choosing to install backup cameras on their vehicles. Thousands of blind spot accidents have been avoided thanks to these handy cameras, and today the technology is more affordable than ever. You don't need to drive a huge vehicle like an RV or 18-wheeler to be subject to blind spot accidents. With a Front license plate camera in place, you will never have to regret shifting lanes at the wrong time, or backing into something that was not within your range of vision. 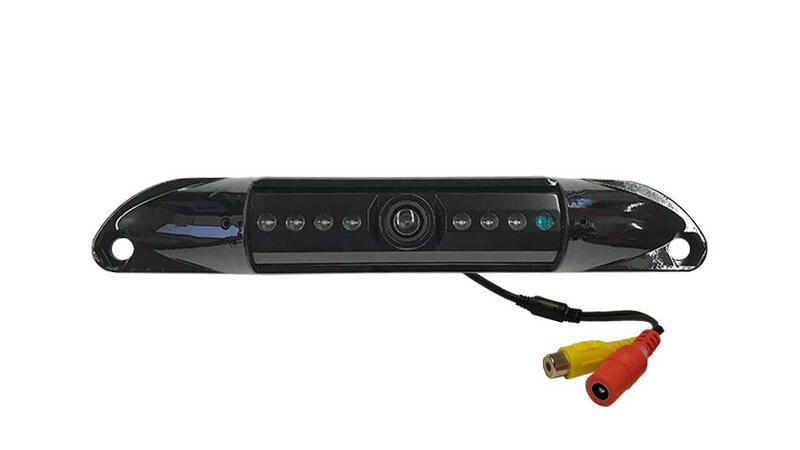 This sleek, black Front license plate camera is incredibly easy to install. It comes with adjustable brackets that mount conveniently to your license plate's current existing screws. There is no need to modify your vehicle in any way. The full-color CCD (High Definition) lens offers unrivaled picture quality, and the military-grade night vision makes seeing in the dark a breeze.